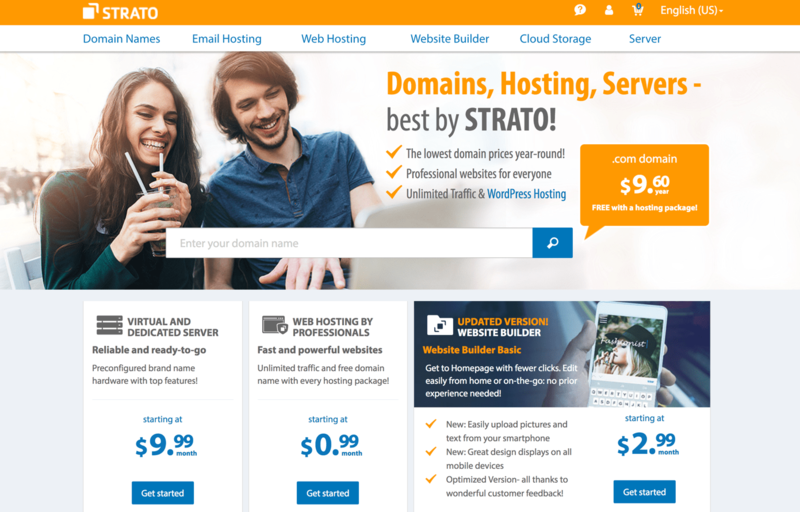 Strato Hosting Review: You’ve Never Heard of This Host But Should You Use Them Anyway? Need web hosting with top-notch security – the sort that financial institutions demand? Read our review of STRATO to get the information you need. Natalie has over 20 years of marketing experience with an expertise in analytics. She taught herself HTML in the late 90s and has been working with internet technologies ever since. 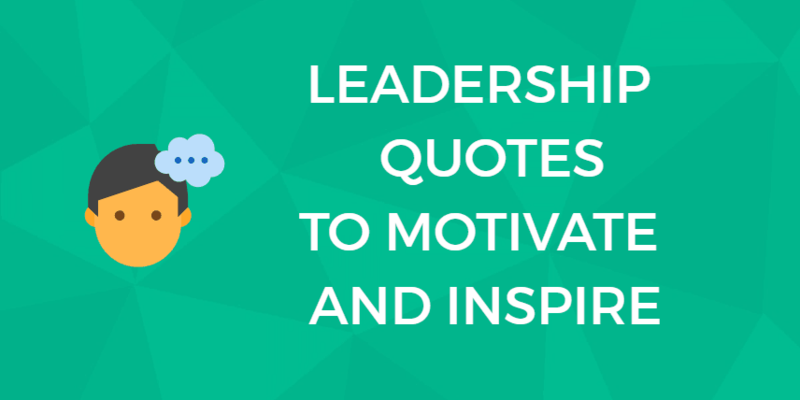 She earned a Salesforce.com Admin certification as well as a Marketo marketing automation expert certificate. Her work has been published on Engadget, Laptopmag.com, Tom's Guide, and About.com. She lives in Southern California with her husband, their feline-American children, and a banjo. Running a small to mid-size business means you usually have to wear a lot of different hats. You might have to handle HR concerns in the morning and then work on accounts payable later that afternoon. But sometimes juggling different roles isn’t necessary if you can outsource tasks to a reliable vendor. For example, if your small business needs top security on its servers from a company that’s environmentally responsible, consider putting Strato web hosting on your evaluation list. However, Strato may not be the best choice for e-commerce sites since their online store capabilities are not very robust and little is mentioned about the types of SSL security they provide. Strato, founded in 1997, operates out of Berlin, Germany. It’s one of the largest hosting companies in the world with 4 million registered domains and 1.6 million hosted websites. It owns over 60,000 servers globally. Until 2016, Strato was available in Europe only but has since entered the global market in a big way. Since 2004, Strato’s security has been certified by Germany’s toughest certification authority, putting it in an elite group that excels at physical, virtual, and network security as well as validating customer products and practices. Strato has operated with a carbon-neutral footprint since 2008. Strato’s products include domain registration; email-only hosting; shared, dedicated, and VPS servers; online (cloud) storage; and a website builder. Its low initial price points make for attractive first-time hosting plans. Strato’s datacenters are located in Germany. They are 100% powered by hydroelectricity, making Strato’s operations carbon neutral. Strato prides itself on its high security rating and robust server networks. It also complies with some of the most restrictive privacy laws in the world. Strato’s datacenters are located within Germany, but their exact locations are kept secret to enhance security. They are bound by strict German data protection laws and are supported by multiple redundancies, disruption-free power, and fire protection. Strato’s datacenters have operated on a carbon-neutral footprint since 2008, even going so far as to win awards for its environmental responsibility. Strato is also tight-lipped about the exact specifications of its servers, but it will list generalities. The company says it uses “high-performance hardware from renowned brand-name manufacturers.” Some plans come with AMD cores and others with Intel Xeon processors. It boasts SSD drives on all of its servers. Strato connects to some of the internet’s fastest nodes — including DE-CIX, AMS-IX, NL-IX, and ECIX in Germany; BCIX and Equinix Ashburn in the US; Deutsche Telekom AG; and TeliaSonera. It’s worth noting that the DE-CIX (Deutscher Commercial Internet Exchange) in Frankfurt is the busiest and fastest exchange point in the world, operating at over 5,600 Gbit/second. Don’t let its European origins discourage you from checking Strato out. In fact, since Strato must obey the laws of both the European Union as well as Germany, it should give you more confidence in their security because they have higher legal requirements to meet than many other hosting providers. Strato uses a three-tiered approach to security, organized into product, platform, and datacenter tiers. All files and connections are encrypted and regularly backed up. Strato’s SiteLock regularly checks for weaknesses on your website and the software also provides tips for plugging potential security holes. Storage drives have multiple redundancies and all components are manufactured by well-known brand names like HP, Intel, and AMD. Strato collaborated with Humboldt University in Berlin to develop ServerSide AntiVirus and ServerSide AntiSpam software. The most impressive part of Strato’s security layers is its yearly achievement of independent TÜV certification (ISO 27001) status held by them since 2004. This certification is the highest one offered, typically sought out by banks and insurance companies. TÜV evaluates security from a 360-degree standpoint: not just servers and datacenters, but extending to cryptography, human resources, operations, quality of customer support, among other areas. TÜV’s assessments even extend to a company’s relationship with suppliers. 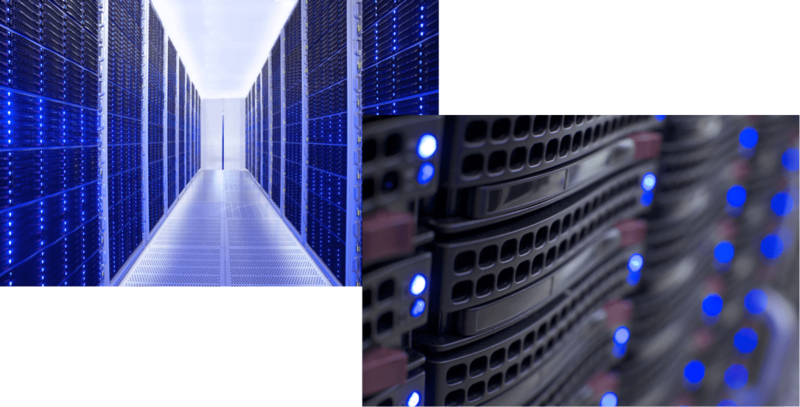 Strato’s datacenter security also offers 48-hours of backup power via diesel generators, fire protection, round-the-clock monitoring, cool climate control, and physical access control. Strato’s backup software, BackupControl, creates daily backups that can be stored for up to 36 months. It allows you to determine how much data you wish to restore — whether it’s a single file or an entire server. Strato’s hosting plans have similar basic parameters with only a few key differences between them. 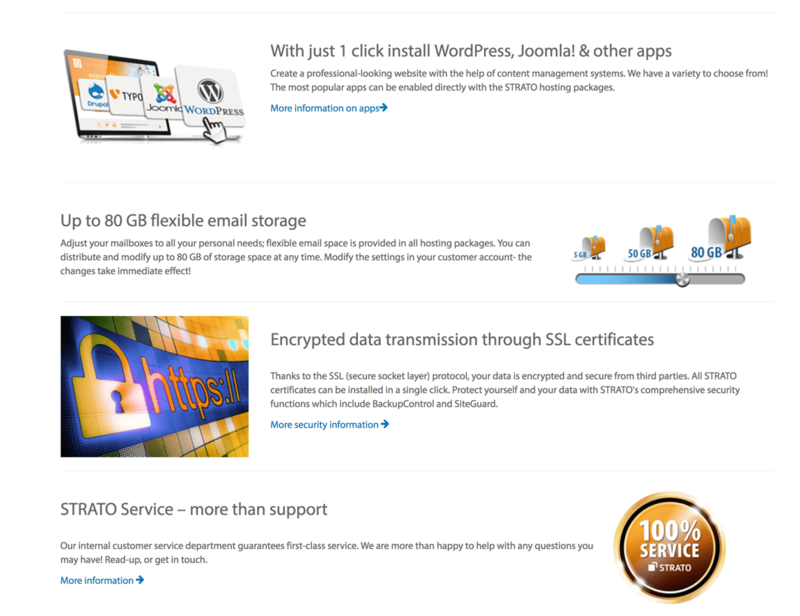 Unlike some other hosting sites, Strato’s plans make it fairly easy to pick the plan most suited to your needs. Almost all of Strato’s pricing for hosting packages is discounted for the first 6 – 12 months and you’ll need to sign a yearly contract to get them. If sales tax is required in your location, you’ll need to mentally add it to the cost of your hosting plan, since Strato doesn’t include it in its listed prices. E-commerce or shopping cart functionality is only available with VPS or dedicated hosting plans. We’ll run through Strato’s plans, starting with the least expensive plans first. These plans are eponymous with what they do, no more and no less. 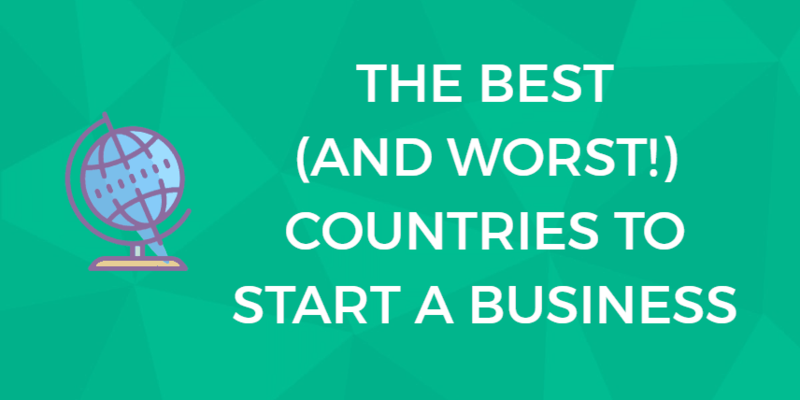 You can register a domain, most for a cheaper price the first year, and email hosting is included. You can also host email with them for a domain you’ve previously registered elsewhere. Strato offers a wide array of Top Level Domains (TLDs) with unique extensions like .club, .company, .guru, and .news. Even if you don’t want to start a website with these domains, if you think of a domain that might soon be in demand, they can make for a low-risk investment. Strato bifurcates its shared hosting plans based on whether you only need WordPress or if you need access to other apps. It’s not really clear why these plans are separate, since the regular shared plan offers flexibility in app installations which can include WordPress. The monthly costs are a bit more expensive with the WordPress plan, but it’s negligible over the course of a year. Still, you have far more app options with the Shared plan, including apps for developers like Python and Ruby on Rails. WordPress plans are limited to one database and one WordPress installation. If you’re thinking a bit bigger than a blog — say a small business, freelancer, or event site — the Website Builder plan, another shared hosting option, can get help you get a nicely designed site up and running quickly. However, the convenience of the Website Builder will cost you a bit more money and there are limits on the number of pages you can have on your site. Neither of the two Website Builder plans comes with e-commerce capability. If you need e-commerce or shopping cart functionality for your business, you’ll need either Strato’s VPS plan or its Dedicated plan. VPS servers are a great way to upgrade a personal site that’s becoming popular or a growing small business. These plans offer many of the same benefits as the Dedicated Hosting plans, but cost 75% less. The VPS plan features up to 12 virtual core processors and up to 32 GB RAM. You can get up to 800 GB storage space, stored on a hybrid system of SSDs and HDDs. The SSDs carry the data most regularly accessed and the other elements are stored on the HHDs. Strato offers both Virtuozzo (Linux) or Microsoft Hyper-V (Windows) virtualization environments. There’s no difference in cost between operating systems. 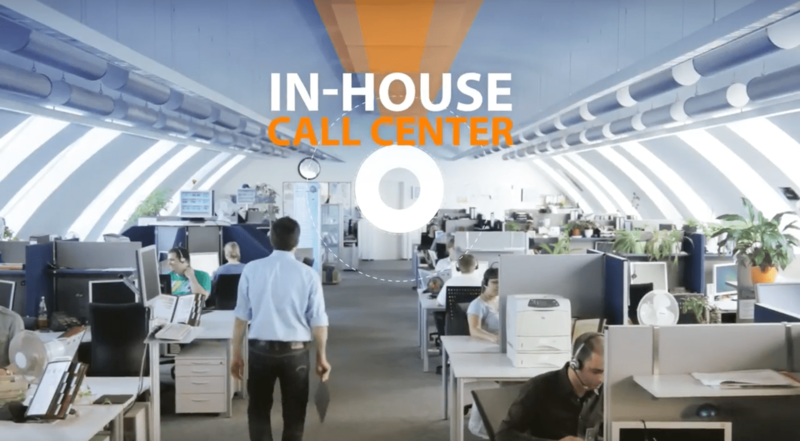 Strato has an in-house call center. If you have IT specialists in your business, you may want to consider the control offered by one of Strato’s dedicated hosting plans. They can provide your team with a dedicated server running either Linux or Windows. Windows servers cost more but you can switch your OS anytime for free. All Strato’s servers offer a Dedicated Root Server and brand-name hardware from leading manufacturers like AMD Opteron, Intel Xeon, and HP. Unlike some companies that may promise “instant” server provisioning, Strato describes theirs as “fast,” but doesn’t specify how long it takes. 2 drives each with 500 GB storage — up to 2 drives with 1 TB. Strato doesn’t offer managed hosting. Remote Console, which is helpful if you’ve compiled your own kernel. Strato’s servers are Docker-ready which means that if you have multiple apps or development environments, you can isolate containers for them which should improve their performance. Plesk Onyx is Strato’s server administration tool. As soon as your server is provisioned you can get started with Plesk, which supports Docker, Git, Node.js, Ruby, and more. If you’re moving from another host where you used Plesk, your migration will be easier. Choose to be notified by ServerGuard24 of server or app incidents by either text message or email. Gigabit Uplink, which can help with traffic bottlenecks. Load Balancer, which can distribute requests to parallel working systems. Apart from the cost, Windows and Linux dedicated servers from Strato are identical. 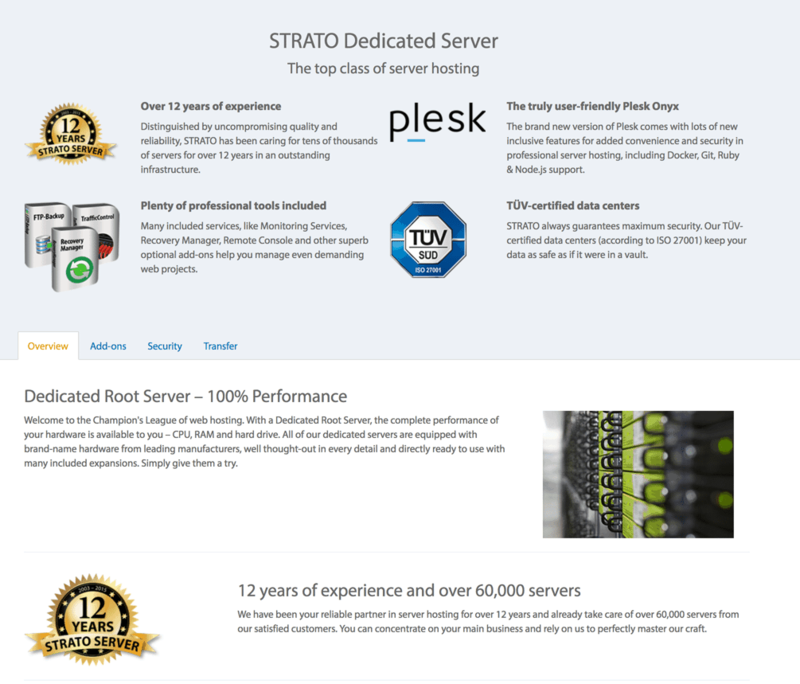 Strato uses Windows Server 2012 and 2012 R2 on their servers. The Windows servers cost about 50% more than Linux servers due to the need for proprietary licenses from Microsoft. Cloud storage can be useful for nearly everyone. You can use it to store photos, music, video, databases, business shared drives, and more. Strato’s cloud storage plan is called a proprietary storage plan called HiDrive. It’s one of their best values, especially as the plans get larger. HiDrive can be accessed from any web-enabled device and it’s mountable as a real drive on any computer. That means files can be opened and edited directly on HiDrive without first having to download them. HiDrive is available for all current operating systems. It be accessed with a web browser as long as the connection can be encrypted with protocols like HTTPS, SFTP, encrypted WebDAV, or rsync with encryption. Microsoft’s Server Message Block (SMB) protocol is a special case. Since it can’t be encrypted, Strato’s HiDrive uses a VPN (an encrypted Virtual Private Network) for access. Strato’s patented HiDrive storage platform, with a close-up of its hard drives. Data saved to HiDrive is stored across multiple hard drives and mirrored 1:1 on additional independent storage systems. HiDrive can make it easy to share large files over email systems with incoming/outgoing message size limits with sharing links with unlimited traffic. Since you can use HiDrive to store Git repositories, it’s great for developers to use for version management. HiDrive API is REST compliant, responds in JSON, and uses OAuth2.0 for authentication. One of Strato’s guiding principles is transparency so it comes as no surprise that when you delete files, they stay deleted. Other hosting companies can retain the right to use your data and photos any way they like, but Strato respects your privacy. At the low end, HiDrive is a bit pricey. However, at higher storage tiers, Strato’s price for HiDrive beats plans like Google Drive by 25%. If you intend to create an online store, you’ll want a Secure Sockets Layer (SSL) certificate for encrypting your customers’ sensitive and financial information. Strato uses Symantec for SSL. However, Strato doesn’t list the types of SSL certificates available with their plans. Support is one of Strato’s best assets. The company employs 150 support employees in Berlin who attend ongoing training throughout the year. There are quality control processes in place for ensuring great support, like recorded conversations and analyses across all support channels (telephone, email, chat). They send out a satisfaction feedback survey after each contact, ensuring that they can correct support problems before they become widespread. The proof of their investment in excellent customer support comes partly by way of their ISO 9001 certification, which is part of their overall security ISO 27001 certification. The ISO 9001 defines the standards of good customer support. 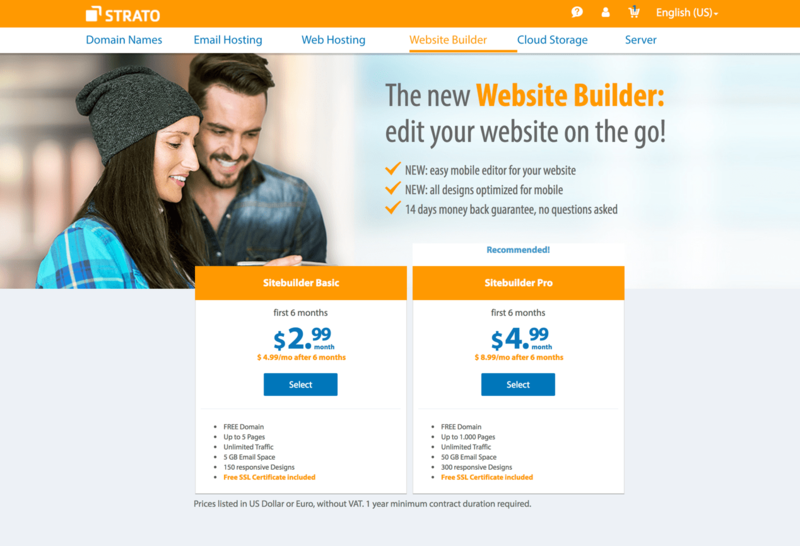 The only guarantee mentioned on Strato’s website is a 14-day money-back guarantee that comes with its Website Builder hosting plan; you can cancel for any reason. Strato has received a number of awards going back to 2006. They’ve been commended for customer service; economical, ecological and social responsibility; cloud computing; budget, Unix, and e-commerce hosting; datacenters; and as overall best hosting provider. The company is also considered a “top employer” for medium-sized German companies. If your company requires the kind of top-notch security that banks and insurance companies demand, then Strato’s security schema makes it an excellent choice. Strato’s carbon neutral footprint makes it a good choice for companies who are committed to environmental responsibility. Strato offers great deals on large blocks of cloud storage. Strato may not be the best choice for selling your business’s products or services online via an e-commerce site because they’re more focused on personal or enterprise products. If you need a wide array of available 1-click installs Strato’s not for you since it provides less than two dozen automated scripts. If you or your team doesn’t have server admin experience, Strato probably isn’t a good choice because they don’t offer any managed server plans and you’ll have to go it alone. 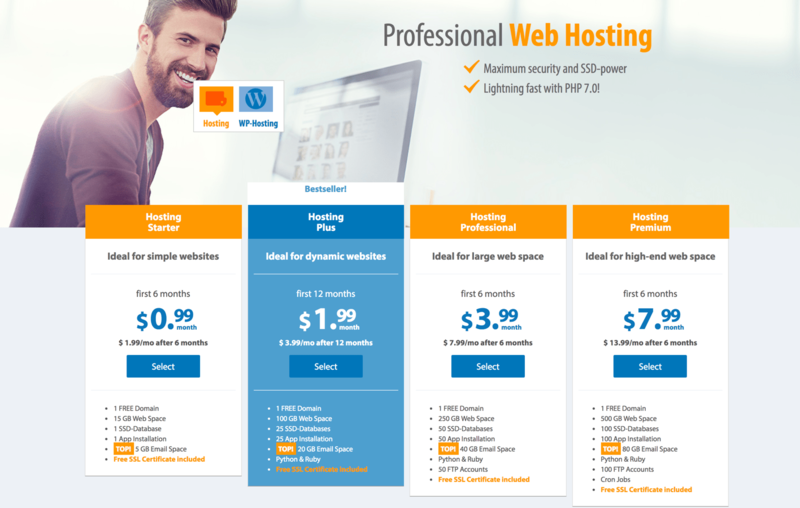 Strato’s website is well-organized and their pricing is transparent, making it one of the least-confusing web hosts around. It’s easy to determine if they have the services you need. Strato also offers promotional pricing for the first six months to a year on all of their hosting plans, so it’s a great bargain. While their support, security, and green credentials are top-notch, they don’t allow for much customization or enhancements to their plans. For those who don’t need a lot of bells and whistles to get their small or mid-size business website up and running, Strato is well worth a look. Unsure if Strato is right for you? Head over to our sister site, WhoIsHostingThis.com. It has an expert review and answers to frequently asked question. More important, it has reviews of actual Strato customers who can explain what it’s really like to host with them. Some images and video stills were sourced from the STRATO Press Center. You are here: Home > Web Hosting: Which Hosting Company Is Best For You & Your Website? > Strato Hosting Review: You’ve Never Heard of This Host But Should You Use Them Anyway? Our Verdict: A simple, straightforward host. 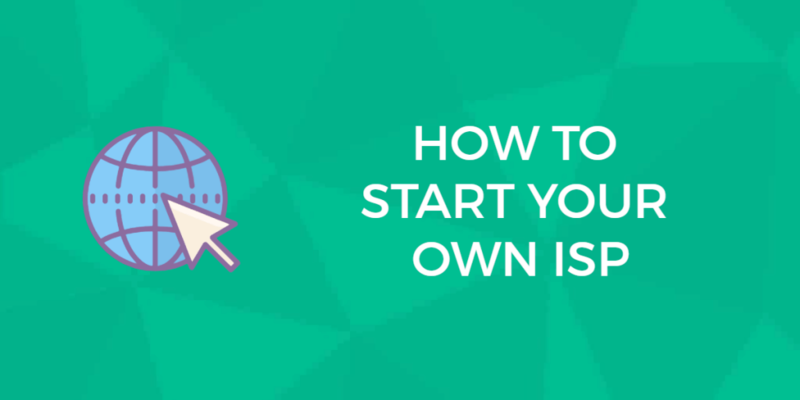 Previous: Dotster Hosting Review: Can This Domain Registrar Really Win At Hosting? We Found Out. Next: StartLogic Hosting Review: Powered by Wind Energy. But Can This Host Power Your Business?